Home » Featured » The Wine Wench® Is Back! The Wine Wench® Is Back! My sister says if you look up the word “resilient” in the dictionary, you’ll see my picture. I guess that’s true. One thing’s for sure, my life is never boring. Since I last splayed words across the web in February, I have gone through a separation with my husband and a “restructuring” (lay off) from the ‘ol day job at Martin Ray Winery. That’s enough to make even the most bouncy, resilient wench curl up in a ball, drink too much good wine (well – it was here) and lick her wounds. I’m done moping and, well, here I am. I’ve been walking in the vineyards nearly every day and am starting to smile and laugh more, my husband and I are seeing a counselor and working on our “stuff” (that feels really good) and my family and friends have been coming out of the woodwork and showing their support, which is worth more to me than all of the good wine in the world. I am a lucky wench! The job search is bumping along – I have one very interesting opportunity that I’m working on and am optimistic about other new possibilities. I’m looking at this as an adventure. It’s kind of a scary adventure, but it’s an adventure, nonetheless. 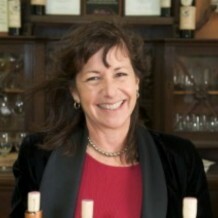 My editor at www.winecountrythisweek.com has loaded me up with assignments, bless her big, editorial heart, and I’m having fun with that. I’ve been writing for them for about ten years now and I absolutely love it. I went to Armida Winery on assignment yesterday and met with Bruce Cousins, who co-owns the winery with his brother Steve. I enjoyed chatting with Bruce and absolutely loved their wines. I even bought a few bottles of their very limited dry Gewürztraminer (YUM!!). All of their wines are really good, but the Gewürztraminer, Sauvignon Blanc, Pinot Noir and Maple Vineyard Zinfandel really made my tail wag. Along with the great wines, their staff is really fun and they have one of the best picnic areas in Sonoma County. Check them out online at www.armida.com, or better yet, go on by for a visit. OK – Blog Guilt is taken care of – thanks for reading and stay tuned for more adventures! I promise I’ll be writing more often!